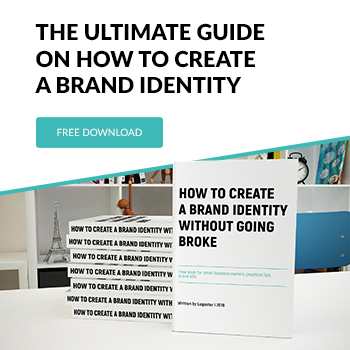 Today we will show how to buy designs that you created as a part of the Brandkit. Set of designs which you see on the product page – are just examples. 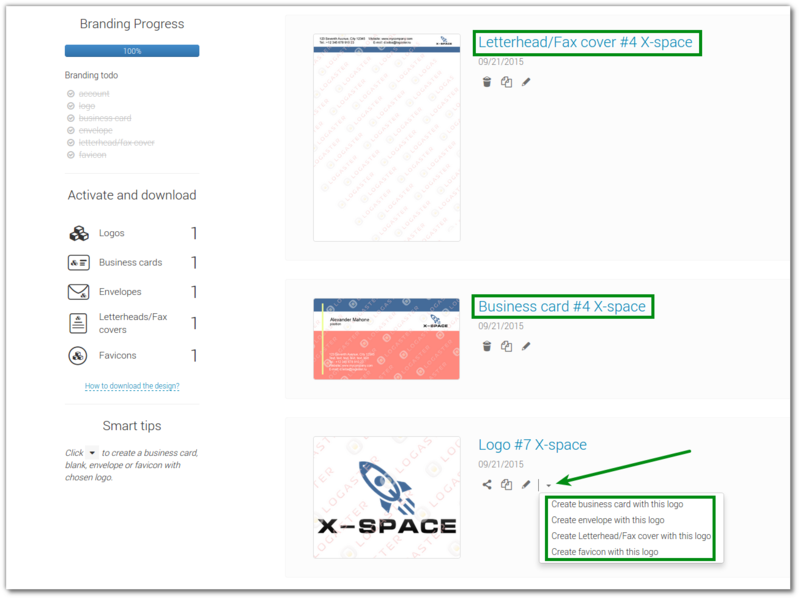 After payment you can download your own designs and, if necessary the proposed examples. 1. 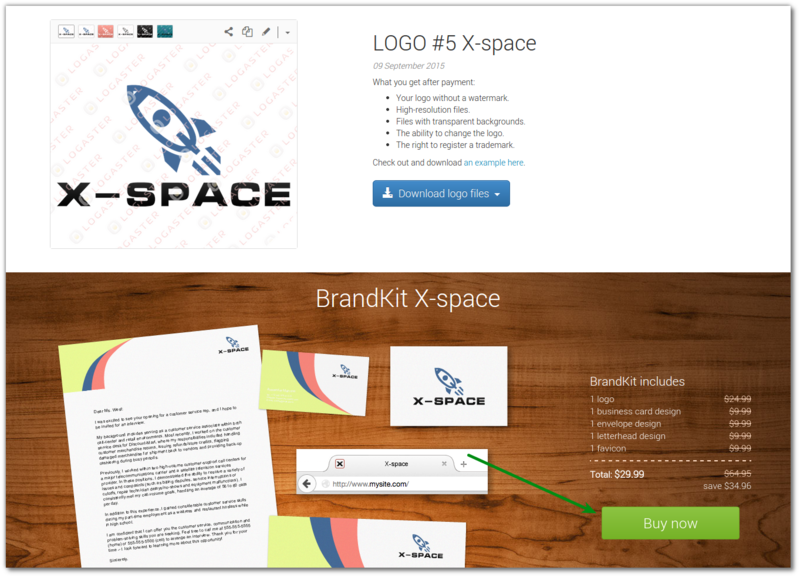 Go to logo page and buy BrandKit. You can read how to make a payment here. 2. Visit your account after payment. 3. Pick a product that you want to download or create a new one. 4. Click download button on the product page. Click “Activate design from brandkit” in the appeared list. 5. 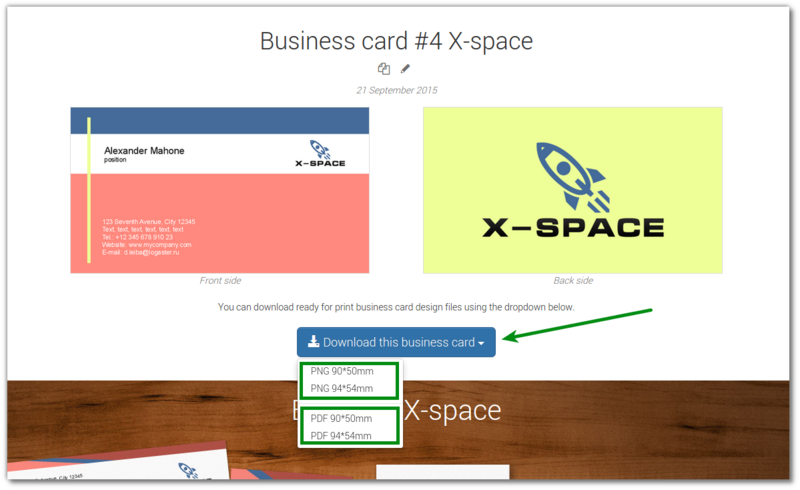 Download the file in the format you need. 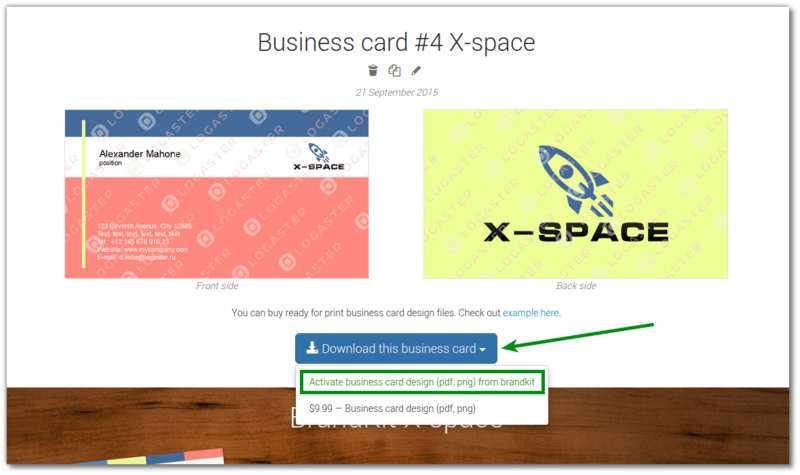 In this way you can download any products – business card, envelope, letterhead or favicon.